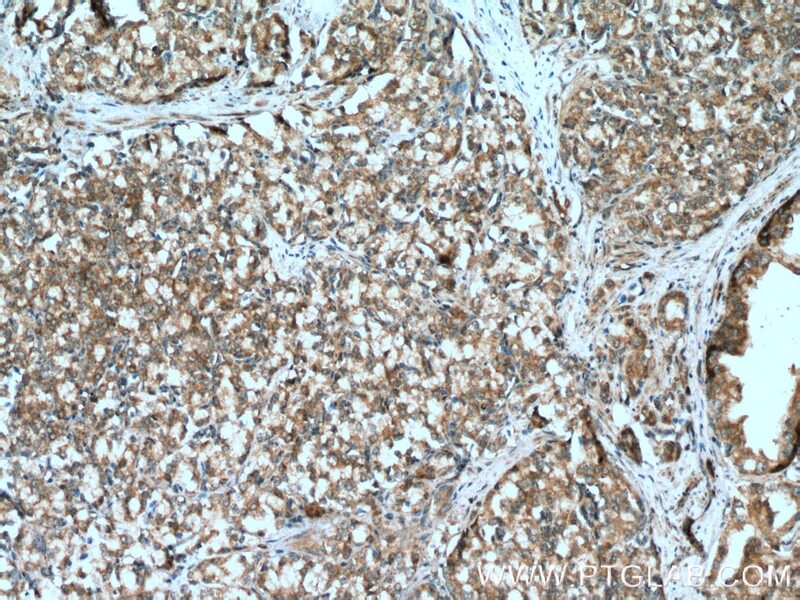 Immunohistochemical analysis of paraffin-embedded human prostate cancer tissue slide using 12330-2-AP( TAK1 antibody at dilution of 1:200 (under 10x lens). heat mediated antigen retrieved with Tris-EDTA buffer(pH9). 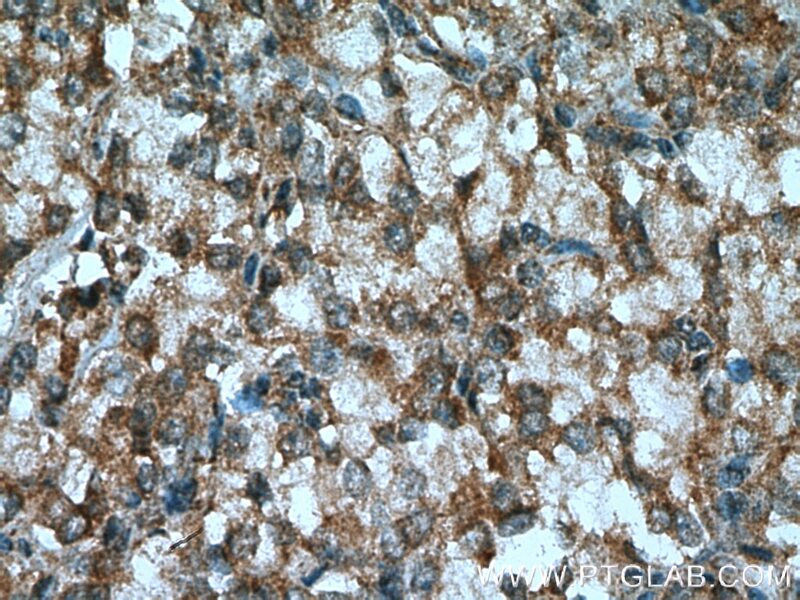 Immunohistochemical analysis of paraffin-embedded human prostate cancer tissue slide using 12330-2-AP( TAK1 antibody at dilution of 1:200 (under 40x lens). heat mediated antigen retrieved with Tris-EDTA buffer(pH9). (BMPs), and various proinflammatory mediators. What is the molecular weight of TAK1? Are there any isoforms of TAK1? expression levels across tissues (PMID: 11118615). which impacts its activity (PMID: 28106845). What is the subcellular localization of TAK1? TAK1 is present in the cytoplasm. What is the tissue expression pattern of TAK1? How can TAK1 activity be monitored? Quantitative proteomic dissection of a native 14-3-3ε interacting protein complex associated with hepatocellular carcinoma. Inhibition of serum- and glucocorticoid-inducible kinase 1 enhances TLR-mediated inflammation and promotes endotoxin-driven organ failure. Inducible TAP1 Negatively Regulates the Antiviral Innate Immune Response by Targeting the TAK1 Complex. Dual-target MDM2/MDMX inhibitor increases the sensitization of doxorubicin and inhibits migration and invasion abilities of triple-negative breast cancer cells through activation of TAB1/TAK1/p38 MAPK pathway. 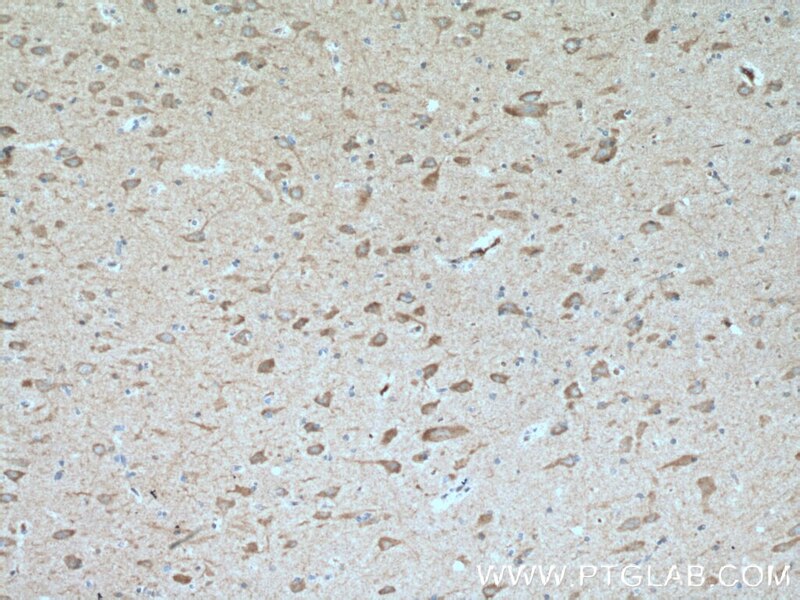 Immunohistochemical analysis of paraffin-embedded human brain tissue slide using 12330-2-AP( TAK1 antibody) at dilution of 1:200 (under 10x lens) heat mediated antigen retrieved with Tris-EDTA buffer(pH9). 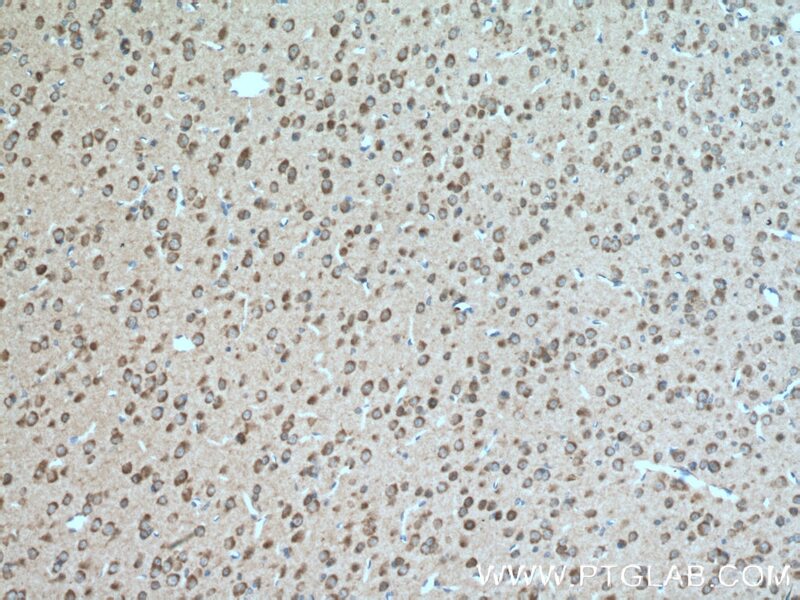 Immunohistochemical analysis of paraffin-embedded human brain tissue slide using 12330-2-AP( TAK1 antibody) at dilution of 1:200 (under 40x lens) heat mediated antigen retrieved with Tris-EDTA buffer(pH9). 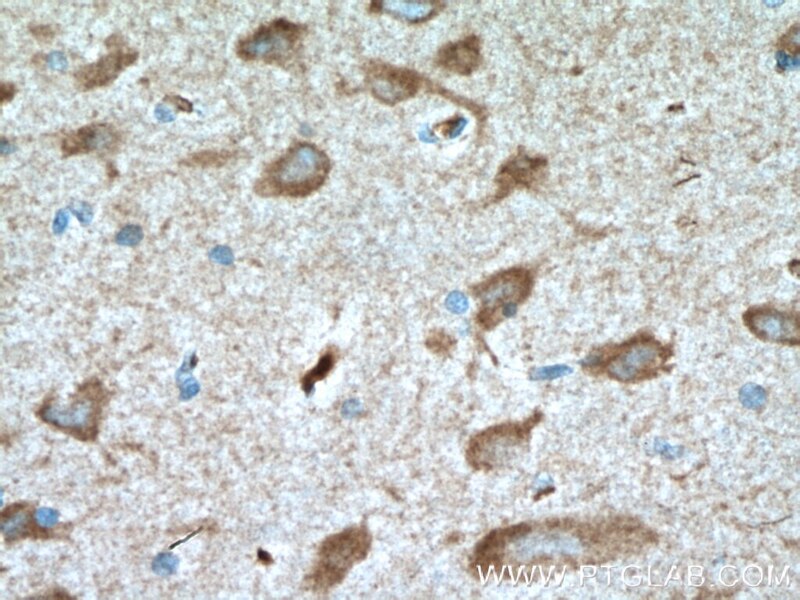 Immunohistochemical analysis of paraffin-embedded mouse brain tissue slide using 12330-2-AP( TAK1 antibody) at dilution of 1:200 (under 10x lens) heat mediated antigen retrieved with Tris-EDTA buffer(pH9). 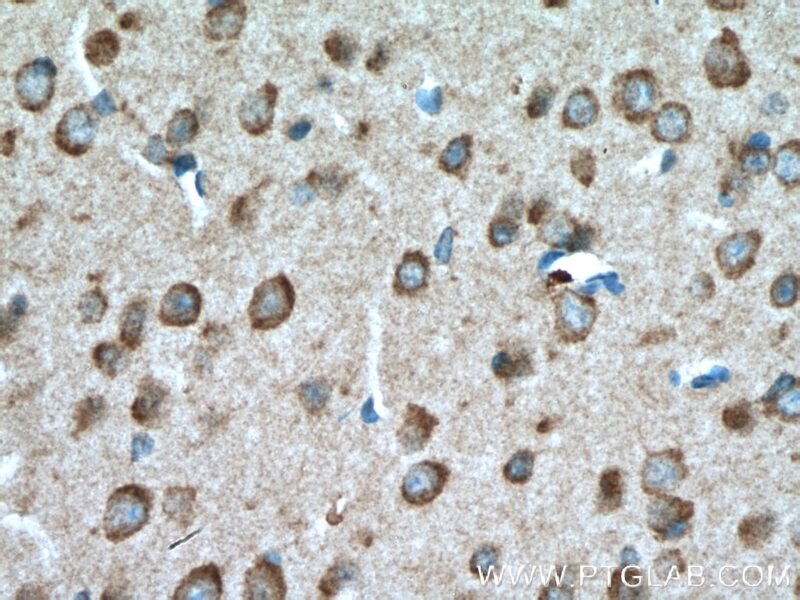 Immunohistochemical analysis of paraffin-embedded mouse brain tissue slide using 12330-2-AP( TAK1 antibody) at dilution of 1:200 (under 40x lens) heat mediated antigen retrieved with Tris-EDTA buffer(pH9).